Enjoy playing music, record audio and convert multimedia files with JetAudio player features; visualizations, equalizer, plug-ins and modern skins. A stunning and delightful experience audio player used to play MP3, WAV, OGG, FLAC, PLS and similar files. The interface is just awesome with multiple themes support, switch mini to standard view and customize playlist screen. Drag & drop favorite files into player playlist, rearrange play order, save playlist for letter use to save time. JetAudio is one of best music player comparing to Winamp, GOM audio and others. The developer has released a basic and a pro version with adding various features in jetAudio Plus VX. However, you can start voice recording to easily record different festivals with adjusting equalizer, band rejection, encoding engine, silence detector, silence indicator and time limiting features. You can download dozens of skins, plug-ins and visualizations to make your player looking beautiful. Moreover, it allows to change skin from thousands of free skin directory to make your player looking attractive. Visualization is also supported with downloading external files and integrate them with jetAudio. Control equalizer with creating personal preset or customize pre-made presets like Pop, Wide, Bass, Dance, Room and more. 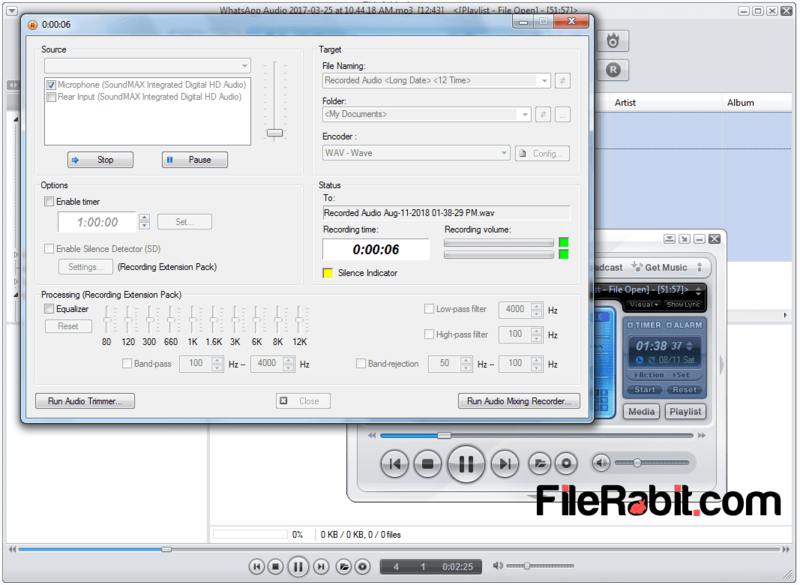 Although, jetAudio can convert files between audio and video. It even support AVI conversion, sync lyrics, x-bass, subtitle and tag editing very well.